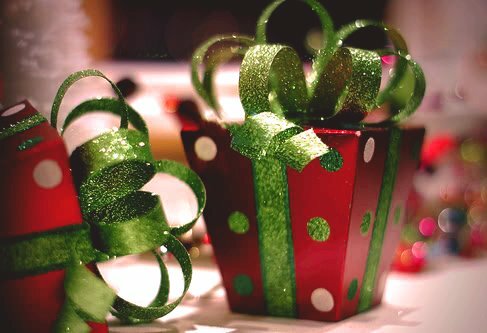 I've teamed up with 12 amazing Authors to put together 12 days of fun that will include promos, spotlights, reviews, special Christmas guest posts and... giveaways! 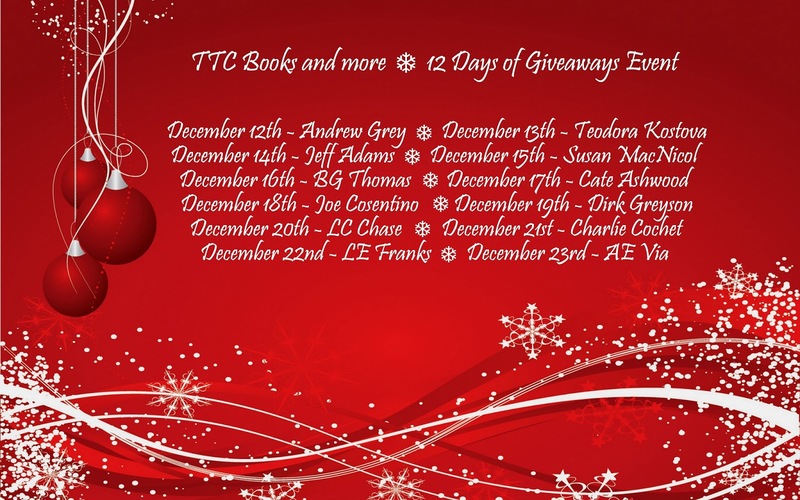 Each day starting today and going through December 23rd will spotlight a different Author, and each Author is offering up a giveaway on their day. You could win e-books, giftcards, swag and more. For day 6 I'm sharing another new release Christmas story from Author Cate Ashwood, The Mistletoe Effect. Although Christmas is his favorite time of year, all is not merry and bright for Danny Ellis. After being laid off and facing eviction, he’s eager to make a fresh start. When a friend mentions an opportunity in Sin City, he packs up and heads west. Unfortunately, plans run awry when his truck breaks down a little more than halfway there and he’s stranded in the cold with no money, nowhere to stay, and no way to get to Vegas. ‘Tis the season, but not for Merrick Holland, who loves being a part of the community in the small town of Rowley Bridge. Christmas has been a little tainted since his father died three years ago, and when people start to deck the halls, he withdraws. When Merrick finds a man asleep inside his bakery one morning, rather than call the police, Merrick makes him a cup of coffee, and after hearing his story offers him a job and a place to stay. The two men strike up an unlikely friendship, but with Christmas only three weeks away, could a little holiday magic bring them together? I am so excited to be a part of the 12 Days of Giveaways, especially since I have two books out this month! The first is a holiday novel I wrote with Nico Jaye. It’s an updated version of Cinderella, set in modern day New York City, and I have to tell you I don’t know if I’ve ever had more fun writing a book than this one. It’s fluffy and sparkly and light. The main characters, Edwin (the fairy godfather) and Trick (his charge), get to know one another with the city as the backdrop. Of course, things don’t go exactly as planned. The story spans two holidays—Thanksgiving and Christmas—and we get to see Trick introducing Edwin to some of the traditions he’d had as a kid growing up with his dad. Some of them he’s able to keep, like attending the Thanksgiving Day Parade near the park, and some require an Edwinesque twist, like the method of preparing Thanksgiving dinner. 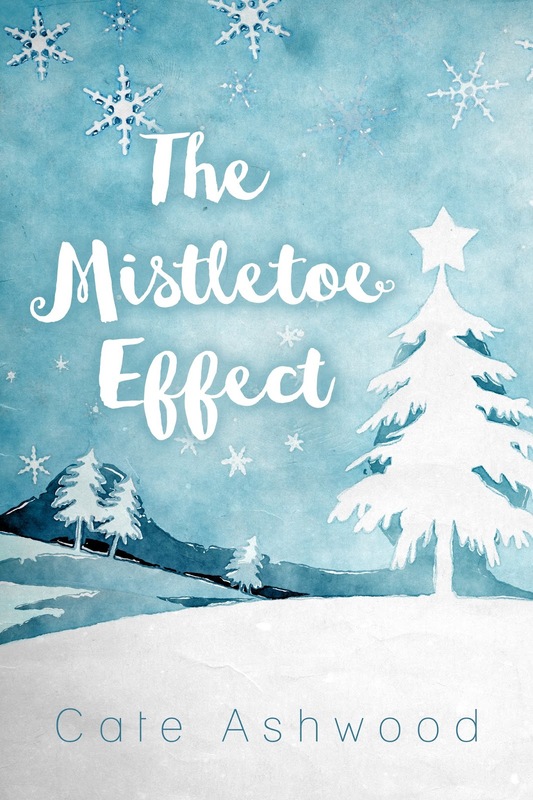 The second book is a novella called The Mistletoe Effect. It follows the story of Merrick, who owns a bakery in small town Colorado, and Danny, the guy who breaks into that bakery just a few weeks before Christmas. Merrick hasn’t really celebrated Christmas properly since his father died five years earlier, and Danny has always wanted a magical holiday, but circumstances in his life had always kept that from him. As is true for most families, Merrick grew up with Christmas traditions passed down from his father. He’s kept himself from them for years, but when Danny shows up, Merrick wants to give him the kind of Christmas he’s always wanted. Together they explore the things that make the holiday special to each of them and in the process they create some traditions of their own. Growing up, Christmas in our house was the most important holiday of the year. I know it’s like that for a lot of families, but I’m serious when I say that my mom is insane about it. She starts her Christmas shopping the previous Boxing Day, and on December 1st when the tree goes up, the whole house is transformed. You should see it. It’s a sight to behold. 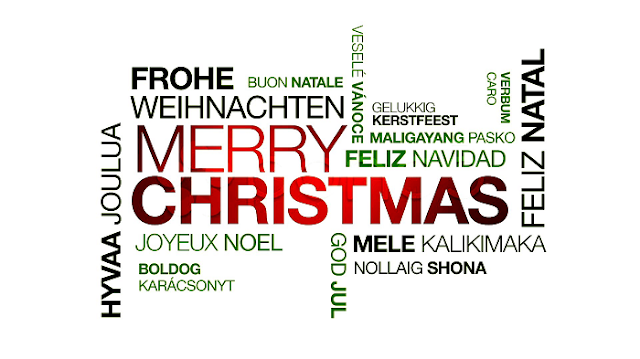 As important to us as the presents and the decorations are the traditions. That is just a sampling of a nearly endless list, and so much of it I want to hold onto for my kids. When my husband and I began to merge our lives, traditions from both sides changed and evolved into our new Christmas rituals, and I’m sure that over the years, as our kids grow and become their own people, they will have ideas about how they want to celebrate the holidays. I can’t wait to find out what they are. Cate discovered her love for books of all kinds early on, but romance is where her heart truly lies. She is addicted to the happily ever afters and the journey the characters take to get there. Currently residing in White Rock, B.C, Cate loves living just a stone's throw from the ocean. When she's not writing, she can be found consuming coffee at an alarming rate while wrangling her toddler, her husband, and their two cats. Great post Cate, I love Christmas traditions. In my family one of my favorites is picking a new ornament every year. My mother still has my first ornament 45 years later! When my children were young we started a tradition of them going to my parents house and helping my dad place tinsel on the tree. One strand at a time. After that they would open their presents then we would go home to watch The Muppet Christmas Carol. We have done that now for 20 years only deviating last year since my youngest is in the military and was not home. Happily we can continue this year as she is coming home for the holidays. We by little stocking stuffers and give them after dinner. We don't really celebrate but we do try to get together for the holidays. We try to make cookies together every year.